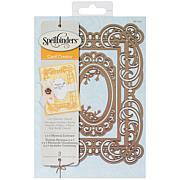 SPELLBINDERS-Shapeabilities Die D-Lites. Shapeabilities can be used in most leading die-cut machines and can virtually do it all! 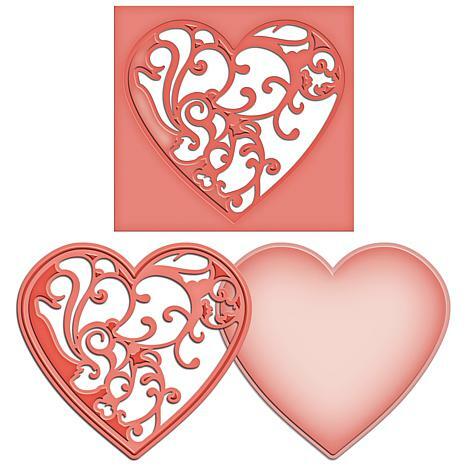 Cut shapes, create beautiful embossed die cuts, or stencil through the die for added impact. 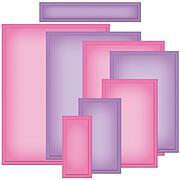 This package contains Vines Of Passion: a set of two dies in assorted shapes and sizes in a 4x7 inch package. Imported. Great little dies. Going to try it as a shaker card. Made several wedding cards. Cuts great,makes a beautiful heart. I enjoy playing with my new die my cards came out beautiful. Spellbinders dies are good. I really like them. I love this die. 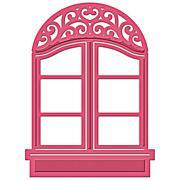 Cut it out in two colors and reverse the tops and overlays...made lots of valentine cards with it! Eeveryone in my stamping group wanted to know who made it and where I got it. What a nice cut! This is so easy to cut and use on any product.